The Chester County Commissioners issued a proclamation in recognition of the work done by professional and volunteer local, county, and regional planners in conjunction with the celebration of National Community Planning Month at the Oct. 17 public Sunshine Meeting. 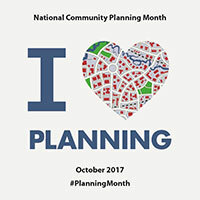 In addition to the Commissioners’ proclamation, the Chester County Planning Commission board issued a proclamation earlier this month in recognition of National Community Planning Month. 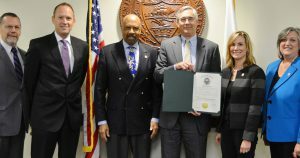 Check out more info about Planning Month and examples of successful projects in Chester County.